THE Namibian Minister of Environment and Tourism, Pohamba Shifeta, and his deputy, Bernadette Jagger, took personal command of the effort to save and protect the remaining herd of the iconic Wild Horses of the Namib that have roamed the plains for more than a hundred years against a pack of four marauding Hyenas. 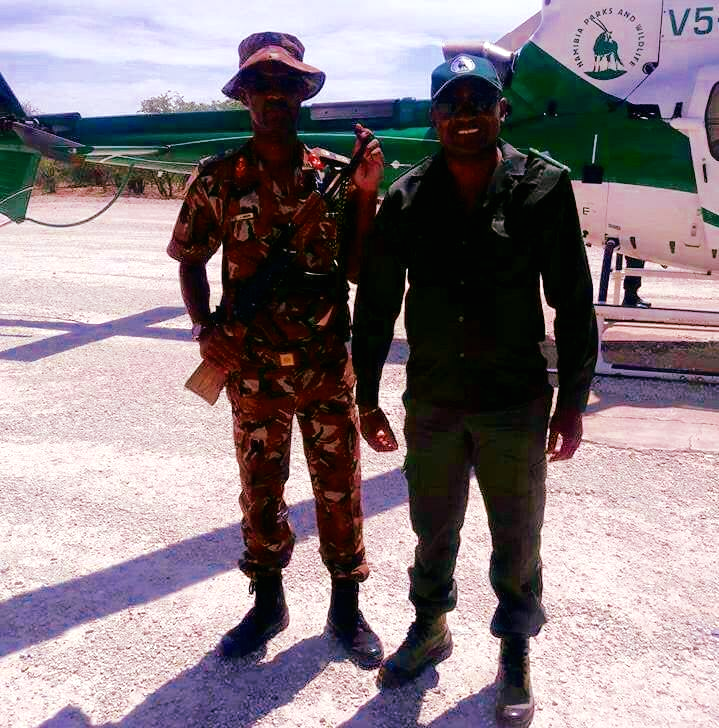 Minister Shifeta confirmed that he got personally involved and that a helicopter will be deployed within the next week to search for the hyena-pack that killed the last remaining foal. He said that only four of the scavengers are still left in the pack of predators. The birth of five foals captivated the imagination of the world after they were born a few weeks ago into the diminishing herd that is threatened by extinction, first by successive droughts and now by roaming hyenas that find easy prey. After alarm bells were sounded when hyenas had caught four foals and hopes were high that the fifth might have survived, the shattering news of the last foal being brought down by the hyenas, emerged. Minister Shifeta said the good news is that a small number of mares are pregnant. “I will not allow the expected off-springs to be the victims of a too large hyena population. The horses are a national treasure that has, more than anything else, unlocked the captivating southern tourism potential and are among the top destinations for tourists to the country. We will either successfully relocate the predators or we will put them down. Either way, the welfare and continued presence of the Garub-horses will not be compromised under my watch,” Minister Shifeta said. 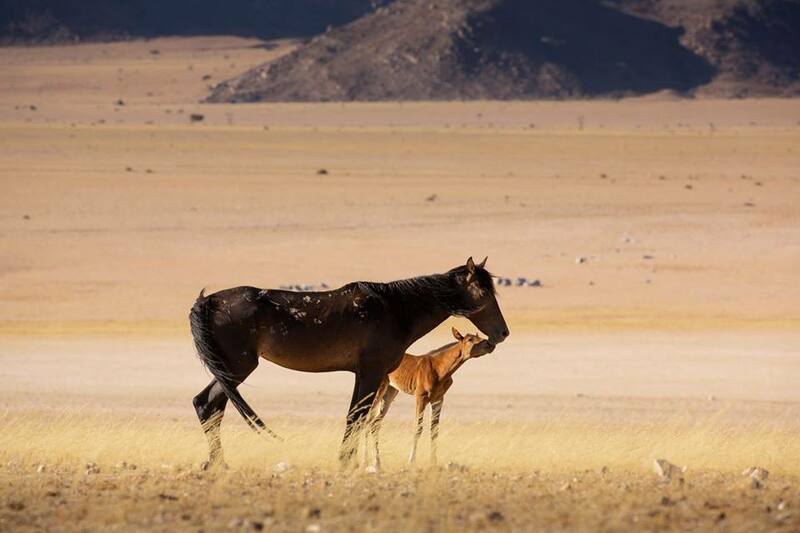 Earlier and before the last foal was caught, the Wild Horse Foundation issued a press release that made for chilling and sad reading for horse lovers from all over the world who come to see the wonder of the Namib Desert. The final hour for the Namibian wild horses on the Garub plains of south-western Namibia, home to the Namib wild horses, gallop across the desert and seek out grazing as they have done for the last hundred years. But all is not as it seems. The population of the Namib’s Wild Horses is on the brink of extinction and the situation is once again critical. There was brief respite towards the end of last year. Rains had blessed the desert in May, breaking the long drought with a carpet of grass covering the desert floor and offering the hyenas an opportunity to move off to adjacent land. The horses gained condition and the first foals were born. New life once again graced the Namib Desert. Hope shimmered on the desert floor like gold, and it appeared that the Namib Wild Horses had a chance. It wasn’t to last long, however. The hyenas returned to Garub and the brief glimmer of hope was soon extinguished. After several years of the Namibia Wild Horses Foundation appealing to the Ministry of Environment and Tourism (MET) to either manage the hyenas or grant the Foundation custodianship to move the horses to a safer home, the Ministry released a statement in December 2018 that they would relocate the hyenas. Namibia welcomed the good news. 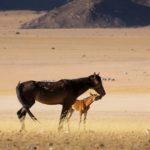 The Ministry acknowledged the value of the Namib Wild Horse’s population for tourism and as a national heritage, and affirmed that it would ensure its survival. Their attempts to bait the hyenas proved unsuccessful and they made plans to return at the beginning of the year. A month has since lapsed with no action and again the hyenas are voraciously predating on the wild horses. All the foals born in the last few months, except for one, have been killed. The idyllic happy scene on the Garub plains has been reversed as it reverts to being a battleground where the only victims are the horses. A few of the Namib mares are still expecting. They are the very last hope. We are now in the final hour of the Wild Horses’ existence on the planet. Without the chance for new life, the population is doomed. 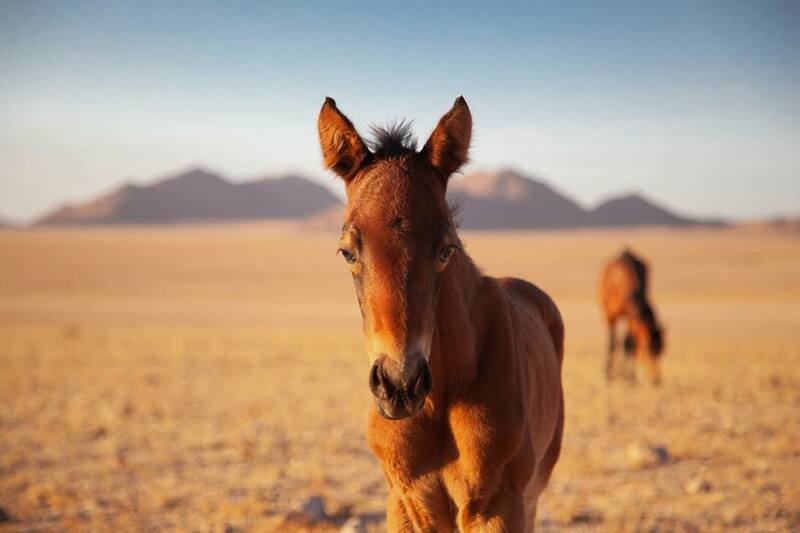 The last foal remains on the desert plains and any day could be its last, ending the hope of a new generation. Since then the last foal was also caught. Minister Shifeta said a number of strategies are in place to secure the future of this national asset, and we are determined that this national asset and heritage survives for many generations to come.